We started out with Mass at the Notre Dame Center. Here the bishops excellent Homily here. 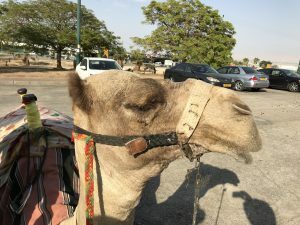 Then we went to the Israel Museum, the Jordan River, Jericho, Qumran, floating on the Dead Sea and riding camels. We had dinner and everyone headed home after marvelous pilgrimage. Watch also our final video with farewells and comments. Excellent Riddle: Can You Discover What God Made? This puzzle was written by a lady in California in 1890 in response to a gentlemen in Philadelphia, who said that he would pay $1,000 to anyone who could write a puzzle that he could not solve. He failed to do so, and paid the lady $1,000 (a great sum at that time). The answer is one word, five letters long, and appears only four times in the King James version of the Bible. An eight-year-old boy figured out the puzzle. Can you? If you give up, need a hint, or guess the answer, write me at sray@me.com. Happy hunting! according to God’s Holy plan. without arms, or hands, or feet. the Bible and it’s teachings I can’t believe. you’ll find my name recorded there.